Have a cabinet full of glass cylinders? Here are some ideas for making good use of them in almost every room in your home. If I think about how many glass cylinder vases I have in my own home, I’d say there are at least a dozen. Some of these are always on display, whereas others are pulled out from time to time for seasonal decorating or entertaining. To me, they’re a decor staple, and I love that they’re available at many price points. With their simple and classic shape, as well as versatility, it’s no wonder they’ve become a favourite amongst decorators. 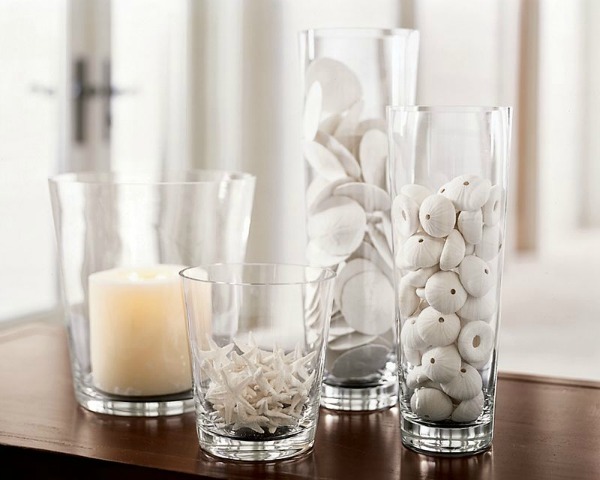 Use one small glass cylinder within a larger one to create interesting candle holders with items sandwiched between. 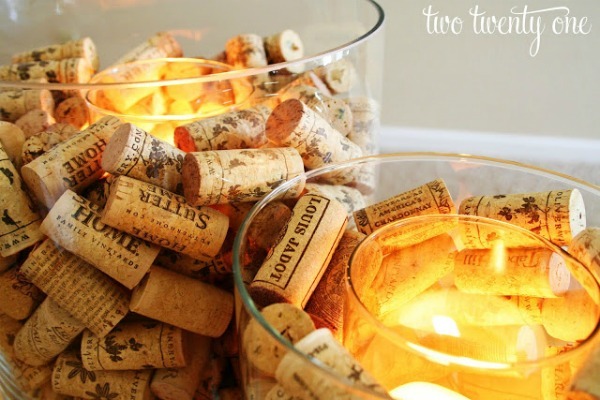 This wine cork candle holder by Two Twenty One is perfect for a table centerpiece. There are many other ways to use glass cylinders as candle holders. Play around with different materials depending on the season, occasion, or a particular style that complements your decor. Use glass cylinders to hold mementos from your travels. 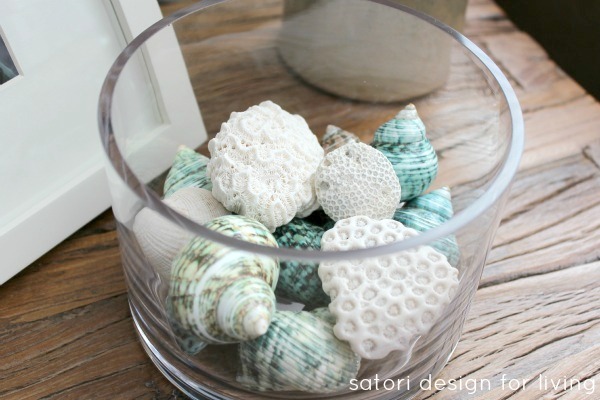 We have a collection of shells and coral on our family room side table. Try grouping several vases of varying heights together for a beautiful impact. Keep the objects within each vase a similar theme or color. 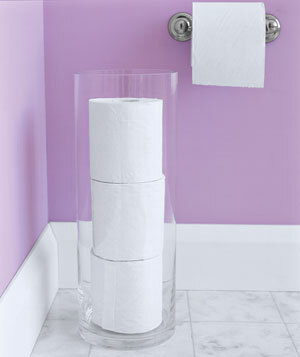 Glass cylinders are a clever storage solution in the bathroom. A tall slender one works perfectly for toilet paper storage, and smaller ones can be used for makeup brushes or extra soap. Use a cylinder vase to hold lemons or other fruit. Not only does this bring a pop of colour to the kitchen, it doubles as a pretty storage vessel. Another use is in the craft room or office. 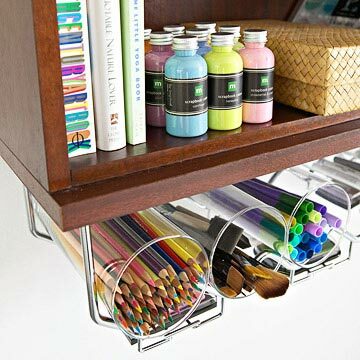 Check out this repurposed wine rack and glass cylinder combo for holding crayons, markers, paint brushes and more. So clever! Remove your plants from the plastic pots they came in and place in glass cylinder vases. 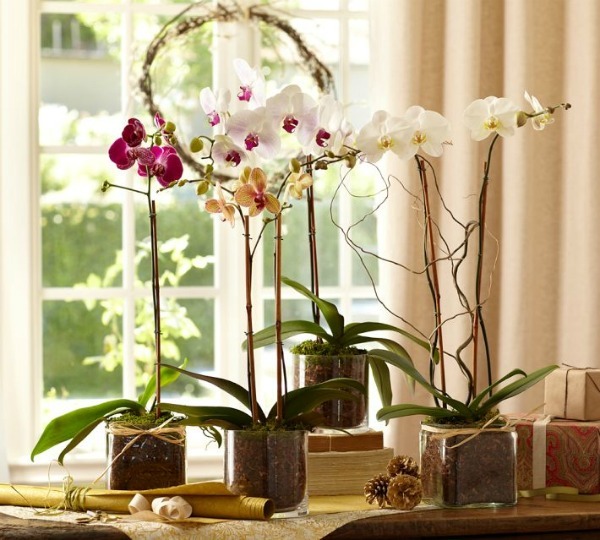 These potted orchid plants topped with moss are a beautiful addition to any room. Of course it’s hard to beat a glass cylinder vase filled with flowers. My favourite! Finally, glass cylinders can also be used purely for function like this vase placed inside a rubber boot filled with tulips. So adorable for spring! Do you have any other ideas for decorating with glass cylinder vases? How do you repurpose this decor staple? I’d love for you to share your glass cylinder vase ideas! Love these, too. I was watching The Real Housewives of the OC (I know!) and noticed one was used to hold clams at a clam bake one of the ladies hosted. I kind of laughed at first because I use them just as candleholders. I’ve noticed people using them at parties (on tv, not mine) for candy when they have a candy bar with a label around it. Looks cute. I have a few of these ideas pinned for my son’s graduation party. I’ve seen candy, popcorn, veges, etc. and it all looks great. I liked the shells ones, specially yours there with the shells – so pretty! I didn’t care for the gumboots… maybe because I have a kid and if I put gumboots on a table for decoration, he’d probably want to “decorate” too!! Never thought of that LOL! I know some people have a superstition about shoes or boots being on the table or counter though! Some very pretty ideas here. I love the orchids in vases, but they have to be watered very carefully since they have no drainage holes. 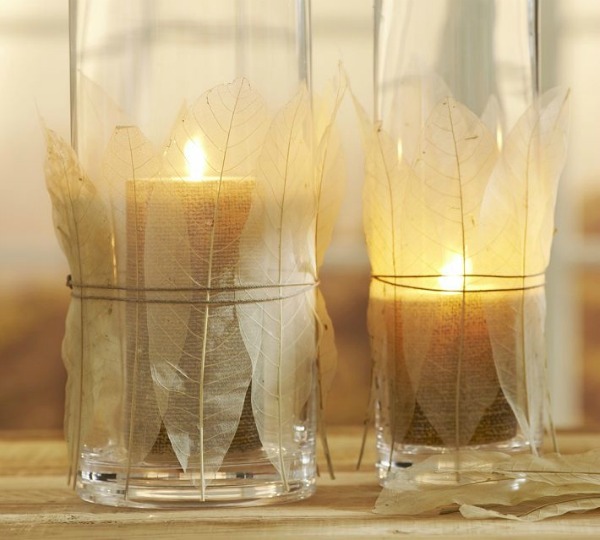 Love the candleholders too, but my favourite is the one with the burlap & leaves…gorgeous!! Nice! I have so many glass vases and never know what to throw in them to add interest. Great ideas. Thanks for posting this.. I love the ideas you presented..
Great post Shauna and so pretty too! I use them all the time in my Staging business with fruit, bath items, etc but my favorite is of the one on its side in the office with pencils! How clever! Isn’t that fabulous. Definitely going to use that idea some time some where! Pencil crayons! Brilliant. Nice roundup Shauna. We had large glass cylinders that we used at our wedding for aisle decoration. We now use them to hold rolls of toilet paper in each of our bathrooms.